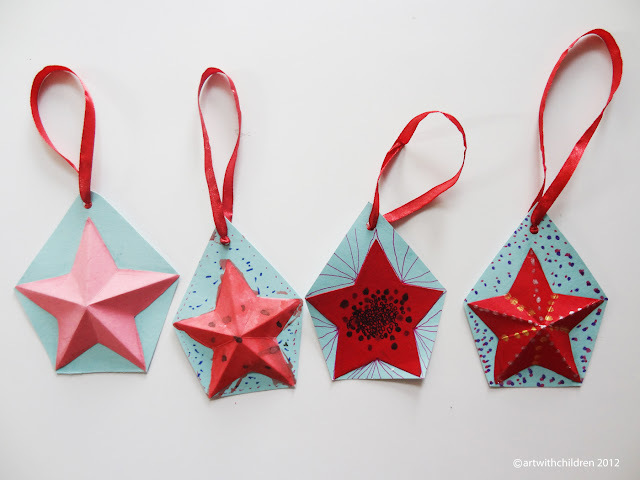 How easy and simple it is to paste a paper star on a piece of card stock to make a tree ornament! So I decided to start making them with the whole group. 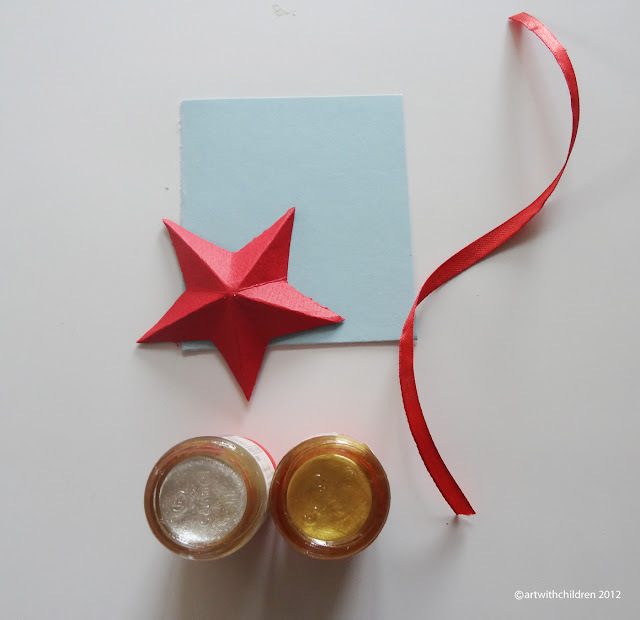 While the older children could learn to cut out 3D stars, the little ones can try to paste and decorate or probably will need help in pasting as well. I got them some colourful card stock, ribbons, markers and paints. I was sure that somebody would like to use golden or silver paints and I had them too. Not to forget my good collection of scissors. Everything went on well. After much fun with the cutting we had a good number of awesome stars and some terrible ones too. So that was a whole pack of card stock because each of them made about 6 or 8 of them not counting the ruined ones. Now how can we make good ones without the trials and a whole lot of paper bits to clean up. They looked awesome on our tree and here we could show you a few of them.